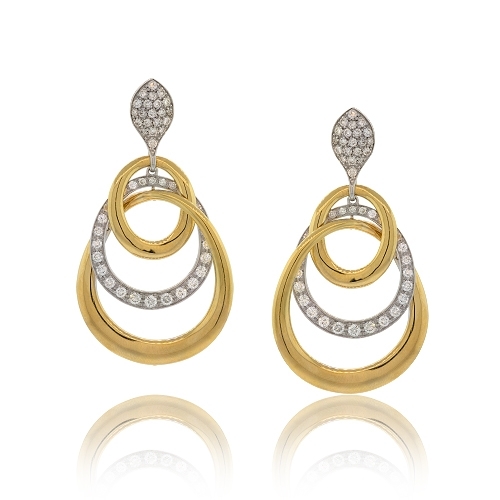 Italian designer Hasbani Dangle earrings with 18k two-tone gold triple loop design and diamond accents. Diamonds approx. 1.40ct. Earrings 1.75"